The 48 influential and rebellious female leaders that history should never have forgotten. 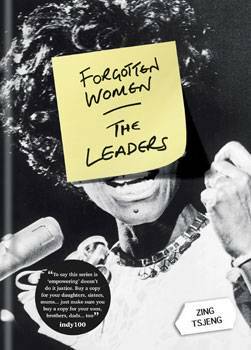 The Leaders weaves together 48* unforgettable portraits of the true pioneers and leaders who made huge yet unacknowledged contributions to history, including Grace O'Malley, the 16th century Irish pirate queen; Sylvia Rivera, who spearheaded the modern transgender rights movement; and Agent 355, the unknown rebel spy who played a pivotal role in the American Revolution. Chapters including Rebels; Warriors; Rulers; Activists and Reformers shine a light on the rebellious women who defied the odds, and the opposition, to change the world around them.